European Commission President Jean-Claude Juncker speaks at the opening of the 2016 St. Petersburg International Economic Forum at the ExpoForum Convention and Exhibition Centre in St. Petersburg, Russia, June 16, 2016. European Commission President Jean-Claude Juncker has called for disagreements between Russia and Europe to be urgently resolved. 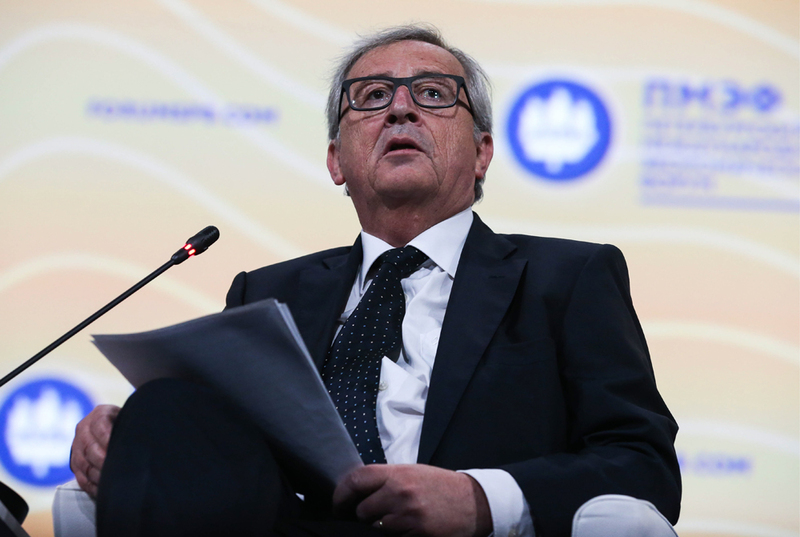 "There should be no illusions with regard to the problems currently facing relations between Russia and the EU", Juncker said at the opening of the St. Petersburg International Economic Forum. Indeed, problems exist, and "it would be dangerous not to pay proper attention to them", he said. It is necessary to urgently resolve these disagreements for the sake of the future of the peoples and countries, Juncker said. "I’ve always believed in the power of dialogue," he said. "When our relations are tense we must keep talking. Even when economic sanctions are in place we must keep the door open." The EU-Russia relationship is "not broken beyond repair," he said. "We need to mend it and I believe we can." He also said that he was planning to discuss issues concerning the impact and the lifting of economic sanctions imposed by the European Union on Russia at his upcoming meeting with Russian President Vladimir Putin.